Are you are into the real estate business, and planning on creating a website for that? The decision to take your business online has multiple advantages and you shouldn’t miss them. However, I understand that the Good Decision to create a real estate website is not necessarily an easy decision. But with WordPress and Real Estate themes like Houzez, creating and maintaining your website becomes a lot easier. 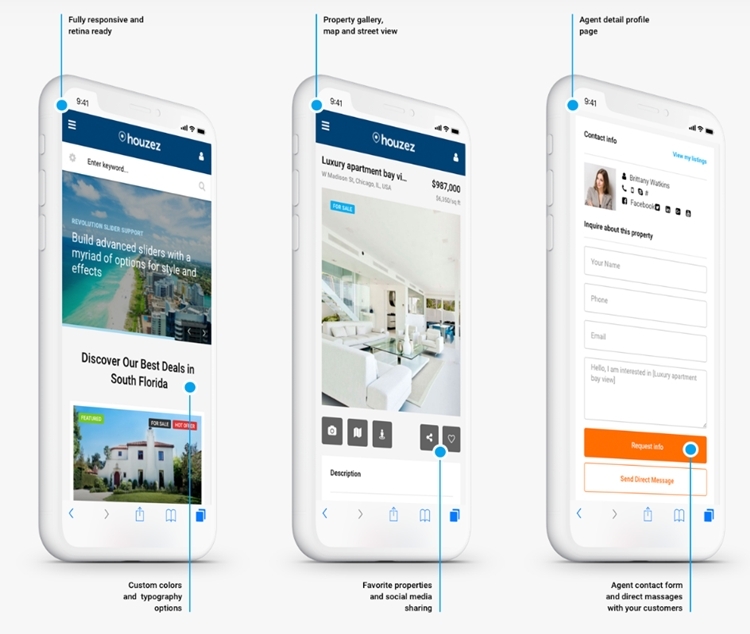 This is an in-depth article about the Houzez real estate theme to create your WordPress Property portal or an agency website. We will discuss the pros, cons and other features of the Houzez theme so you can decide better for your website. The houzez real estate theme is a multipurpose and flexible theme to create your property related websites. The theme comes with different demos to create beautiful and feature packed WordPress websites in minutes. The theme is easy to use, very flexible and comes with simple customization options. So you don’t have to be technically skilled to use this theme and create a website on your own. Houzez theme is one of the best selling WordPress Real Estate theme. Also, it is totally multipurpose. You can use this theme to create a professional portfolio, a website for your real estate agency or a real estate directory. 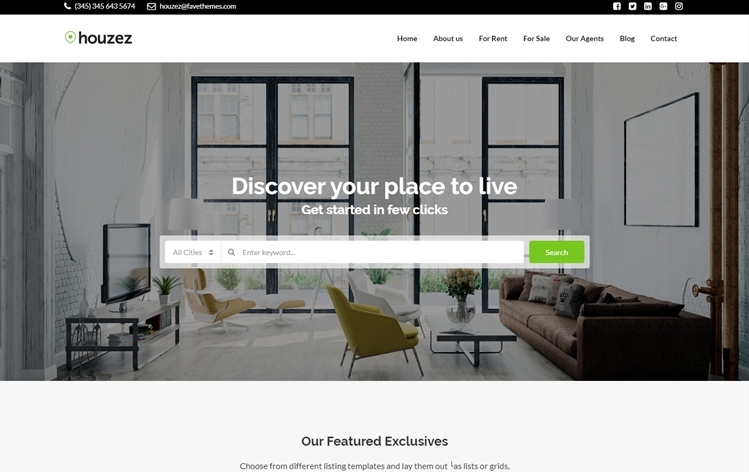 Houzez is a multipurpose real estate WordPress theme that you can use to create different types of websites related to real estate and properties. You can create a website for rental properties or properties for sales. It can be a house, apartments, condos, hotel rooms, rental villas, vacation homes, farmhouses, land plots, farms, industrial estates, etc. Since the theme supports custom fields(more on this later), you can create detailed property listings on your website that includes everything a user would wish to know. Moreover, the Houzez theme is designed to be used by everyone. No technical expertise required. So even if you have never tried building website before, you can create a feature packed & professional looking website with this theme. Create your entire website without touching a line of code, all the features are pre-programmed and the design is highly customizable. If you like being creative, you will, in fact, enjoy creating with the Houzez theme. So you can try different configurations and create a site that expresses your business perfectly. If you are a realtor who wants to use the power of the internet to advertise his properties, this theme is for you. The theme can also be used to create a real estate directory website. So you can establish and maintain your own commercial real estate directory that lets you earn through it. This theme lets you choose from 16 pre-built demos to get you started with your website easily. All these demos can help you built unique and fully personalized websites of any niche related to the real estate industry. Since the preference of different users is different, this theme lets you choose the styles of your website. The following are the available options. 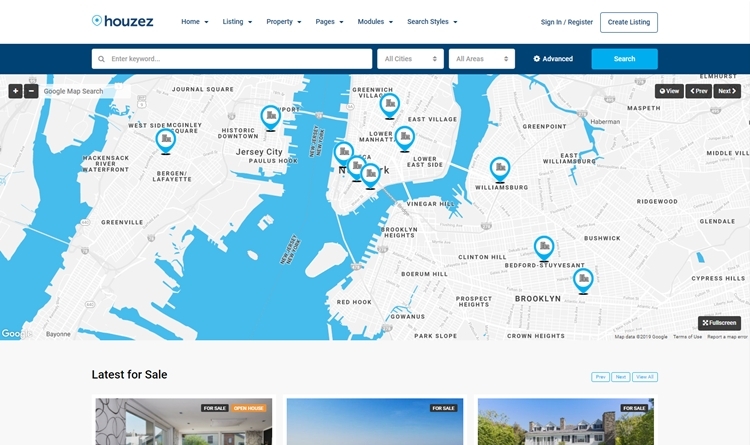 Since maps help locate the real estate websites easily, this Houzez theme demo is one of the best choices for your professional real estate website. The map header is beautiful and adds to the usability of your site. You can go for this design if you want to keep the maps in front. This is my favorite demo design because a map on the front page is a gateway to an intuitive website that leaves an impression and facilitates the users to search & find easily. This is the real estate website design for a broker, realtor, or a real estate agent’s personal portfolio. As I mentioned earlier, the real estate theme is built in order to be useful to everyone. Therefore, realtors and real estate brokers can create their online portfolio and even display the properties using this real estate theme. They can easily create the categories and list their properties. If you are a real estate agent or a broker you can create your website on your own & maintain it easily. Want to create a simpler website with for your local real estate agency, to display local listings. You can create a small yet expressive website for your locally operative real estate website with this demo. It can also be used by a realtor to display the local properties that your local brokerage firm deals with. This is your real estate template for a single property. The Real estate WordPress theme can be used for any kind of rental villa, vacation home or any other single property. Want an official website for your real estate agency? This demo talks business and tells people about your properties. 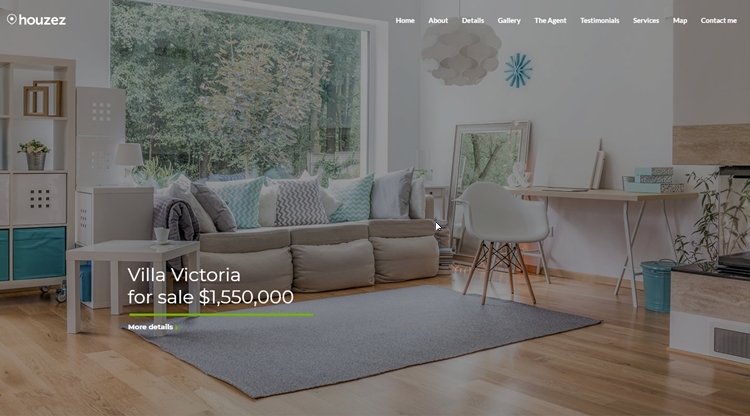 This real estate WordPress theme comes with easy options to let you manage your website and make it work the way you want. There are several demos for creating real estate agency’s website. With a different type of real estate agencies, you can use different demos. These are modern and clean design for creating a website for your real estate agency. This design can be tweaked and used for any kind of property management website. 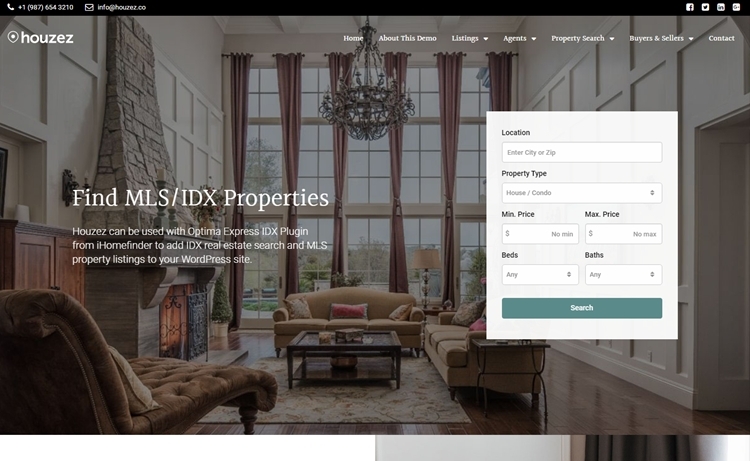 If you want to create an IDX/MLX website for real estate, this is the demo design for you. It is sleek and stylish and easy to use. 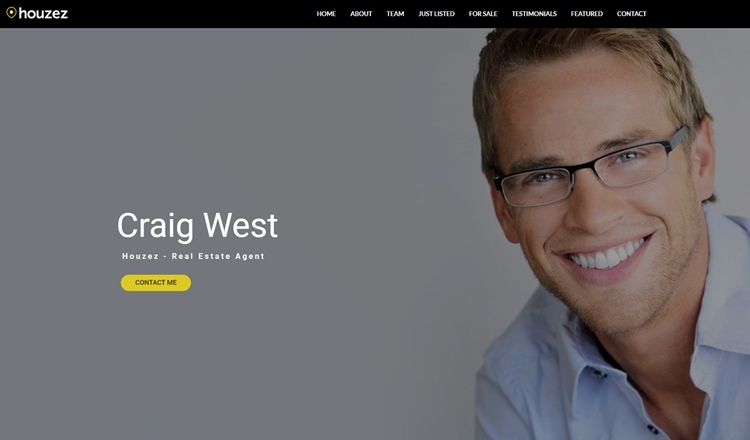 This is a conversion focused WordPress Real estate website template. It focuses on CTA and effective presentation that inspires your visitors to take action. If you want an action-oriented website instead of a passive, expressive website, then this demo design is for you. There are over 16 different demo designs to choose from and this helps using this real estate theme for different purposes. With all the features and flexibility, the Houzez theme is really customizable. You can adjust the theme’s behaviour as per your requirements. The theme comes with plenty of inbuilt customization options as live customizer and theme options or settings. Houzez theme comes with easy customization options to personalize your website as much as possible. Houzez supports the page builder by WPBakery for drag and drop page building functionality. Also, the options and settings are well-organized so that you don’t end up messing up the design of your site. Therefore, achieving a personalized and professional look for your website is simple with the Houzez WordPress Theme. This plugin is optional. 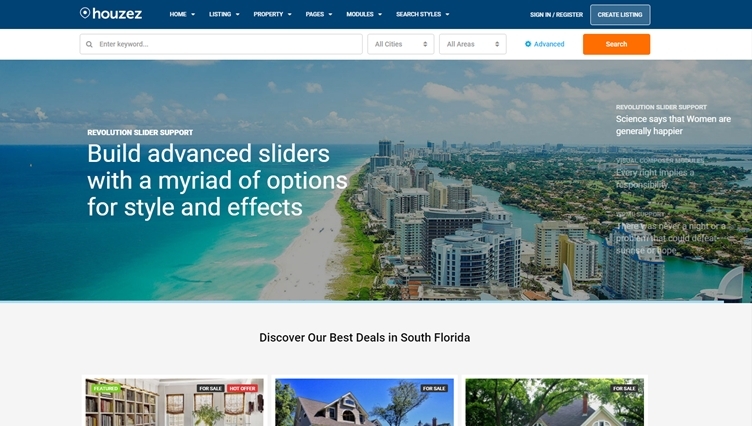 This real estate theme will work great with or without the page builder, using the theme options and the page building options. To make sure that you get full control over how your website looks, the Houzez WordPress theme provides you with predesigned templates to choose from. Because requirements for different websites are different, there are many different options available with the Houzez WordPress theme. Property pages options lets you choose the presentation of properties on your website. There are property pages with full screen banner, as well as property pages with vertical tabs. These pages have different designs and different ways of conveying information. Listing pages will show a list/grid of properties falling under a specific category. These pages will help the visitors easily find a collection of listings of their interest. The Houzez theme allows you to choose from a variety of Listing page layouts. You can choose from a layout with full-width gallery, horizontal tabs, or vertical tabs; or select a multi-unit display. Menus are the main form of navigation for your WordPress websites. 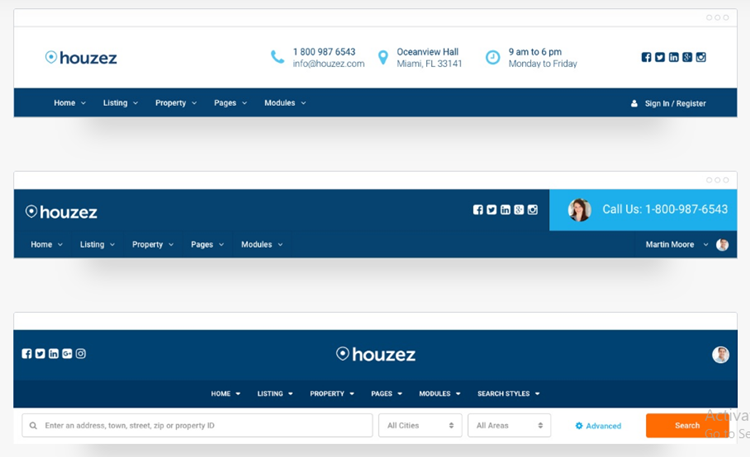 The houzez real estate theme allows you to choose from the available navigation styles. You may decide upon an ideal navigation style based on the purpose and user behavior on your site. Even changing the navigation style at a later stage is easy using the inbuilt option. The WordPress Real estate theme comes with so many header patterns, it’s impressive. The team behind the Houzez theme surely understands the value of a good header. It is the first part of your site that catches user attention. Therefore, based on your niche and purpose, you should choose a header for your site. This theme supports image, video as well as map-based header banners, parallax banner, slider revolution or a Property slider. Therefore, you are in control. All these pre-designed templates make it easy for you to change and manage the layout of your site easily. They let you have parts of your website customized as per your website’s requirement. The Houzez real estate theme allows you to create feature packed WordPress real estate websites that are easy to manage. The listings created with this theme are detailed. Since the Houzez theme is specially crafted for the purpose, it comes with all the best property management features for your real estate websites. The houzez real estate theme is ideal for creating property portals or a complete online property management systems. The theme is really easy to use and helps you set up your site in no time with much fewer efforts. This theme comes with a predesigned real estate listings forms with all the fields it requires. Moreover, there are location based features and maps to make your site more intuitive. Maps play an important role in your property portal. 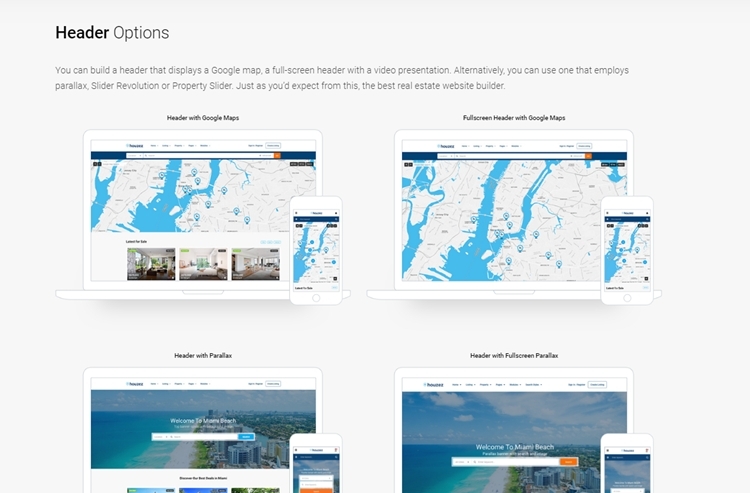 The Houzez theme supports maps at different sections of your website. You can choose to display the map in the header. You can allow your visitors to search through Google Maps. A real estate website also requires proper, clear images. You can upload, or allow your visitors to upload high-quality images with their listings. Besides, your listings are made more attractive with the image galleries. To create a real estate directory, you will need your visitors to submit their listings on your website. The Houzez theme comes pre-configured for this. Both the visitors and the agents can create their account and submit their listings. The listing submission can be free or paid. So if you want to create a commercial directory, you can create different pricing packages, allow the visitors to choose from them, and submit their listings. With the inbuilt registration and user management system it becomes really easy to manage your website users. There’s a fully functional registration system. You can even control the capabilities of a user by choosing from the Buyer and Agent roles. 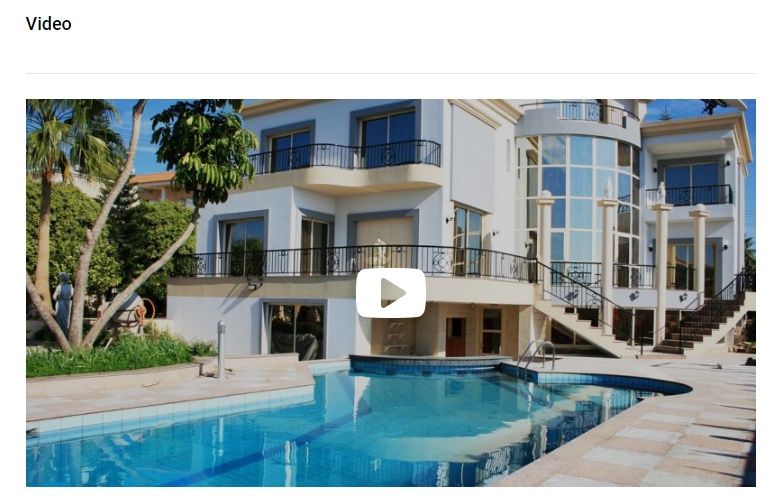 To make your property listings more valuable, you can add videos to your properties. This video will be responsive and work well on any browser. Besides, you can even include virtual tours for your properties and express more about your property with a real-life like viewing experience. Floor plans With the inbuilt feature, you can display floorplans of your properties. This helps your visitors to understand better. Besides, there is also a feature to allow visitors to print a property PDF for later offline reference. There are many other features like a currency switcher to support multiple currencies, a mortgage calculator, agent’s profile page, property comparision, etc. 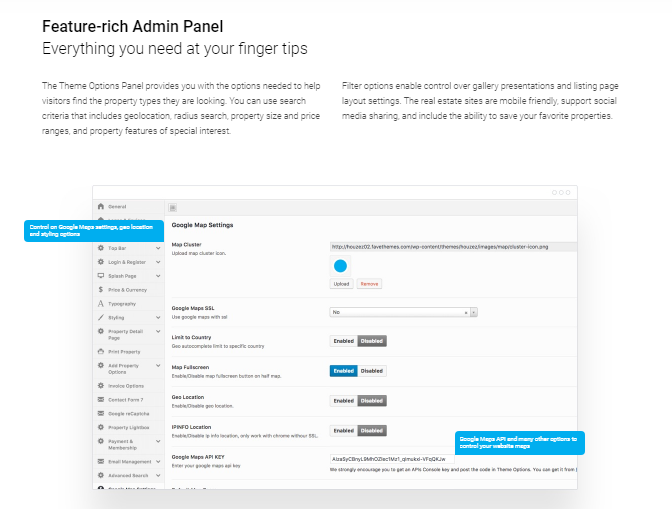 As an admin of the site, you have full control of all the listings on your website. You can choose to moderate them before they are actually published. Besides the dedicated property management features, there are several other features of this theme that will help you create a website that leaves an impact on the visitor’s mind. The Houzez theme encompasses several minor funtionalities that can be really helpful to aid user experience and website performance. Moreover, the theme comes with Parallax sections. There are options for parallax headers/banners as well as sections with parallax scrolling. As mentioned in the begging, your property portal created with the Houzez theme supports Google maps and various location-based features. Also, the autocomplete for geolocations is another useful feature that automatically shows suggestions by optionally drop-down results in a specific country. The Houzez theme also supports the Near me features to facilitate your visitors. When your users are browsing through your property portal with a multitude of listings, you must make it easy for them to browse the site. The Advanced filters and the search suggestion features help your visitors find the type of properties they are looking for. Need more fields for your real estate property listing? No worries, you can easily create and add new fields for your property listings. These fields can be category specific. This makes it really easy for you to create customized listings with special fields for different types of categories. The custom field supports makes your property listing more flexible and this theme more useful for creating any kind of website. This feature of the Houzez theme, allows the visitors to add a listing on your website in their favorites collection. However, only registered users are allowed to do so. The saved real estate listings help your visitors easily get back to the listing of their choice. This feature will let your visitors configure a range of criteria for the search. So whenever a new match is found, the user will be sent an email and automatically notified. This smart feature doesn’t require human interaction, just proper configuration. The Houzez theme comes with a payment system to send and receive payments easily. It allows you to accept payments through PayPal, Stripe or bank transfer. Besides, the Houzez theme is detailed to perfection. It will automatically issue invoices & bill your members. The inbuilt mechanism will help you track the necessary financial information to help you with accounting and finance management. The Houzez theme is well documented and you will also find some video tutorials of this theme on the internet. Even if you are a WordPress expert, you will need the documentation of the theme as it explains the individual elements and the working of your real estate theme. Therefore, as far as documentation and support are considered, Houzez theme’s help channels are well up to the mark. Houzez is one of the best selling WordPress Real Estate themes. Considering its features and flexibility, it has a highly positive review and has been one of the top real estate themes since it’s launch. You can get the Houzez theme at $59. This price includes a quality checked product, free future updates and 6 months worth of support. If you want additional support, you just have to add $18 and your support will be extended for 6 more months. Therefore, 1 year of support after purchase for an additional $18. This WordPress theme for Real Estate website is loaded with tons of features. All these features allow you to create a feature packed efficient website. One of the main advantages of using a WordPress theme is its affordability. If you hire developers to get it done for you, the prices may be hundreds of dollars, and you will always need to rely on someone else to make even the smallest changes to your site. While when you use the WordPress themes like Houzez, you get a professional looking website at a much cheaper price. Also, the quality of your website will be remarkable. The houzez theme is really easy to use. Even if you have never created a website before, you can easily use the theme options and create a beautiful real estate website in no time. This real estate theme requires no technical knowledge to be used. Regardless of the type of website you want to create, you can follow the steps to get started and create a professional looking website easily. To create your real estate website, you will need a hosting space and a domain name. We recommend using BlueHost for both, host and domain name. So you can go to their website and choose a domain name. Your domain name should be short, precise, easy to remember & unique. 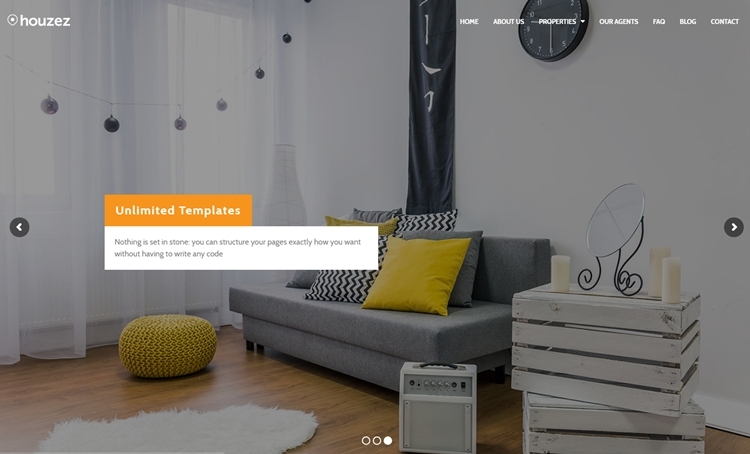 With the hosting and domain acquired, registered you can proceed to buy the Houzez theme. You can download the theme zip file to install the theme with the help of the theme documentation. Once the theme is installed and the sample data is imported, you will have a professionally designed and feature packed website. All you need to do is to replace the sample data with your original content and customize the theme as per your requirements. What are the customizations you will need at an initial level? We will start with minor customizations to get started with your website. This is to make your website turn exactly how you want. You can change the branding of your website easily by replacing the logo and the site name. So that your website represents your business, you must change the colors and set backgrounds, fonts, and font colors, etc. All these changes can be made without touching a line of code. This theme allows you easy customization through the backend options. The menus on your website are the main means of navigation on your website. Therefore, you must first of all, focus on the menus of your website. To create a menu, you can make a list of all the menu items you want to display on your website. Then arrange them in a hierarchical fashion. With the available menu options, you can create menus easily and set them on your website. Next, you should replace the images on your WordPress website according to your niche. You can get free stock images from the websites like Pixabay or Unsplash. You should create categories for the real estate website. This helps an easy organization and makes it easy for your visitors to search through your listings. Next, you can change the text of your website, and other design elements to match your niche. With the available options, you can easily change anything you want about your website. 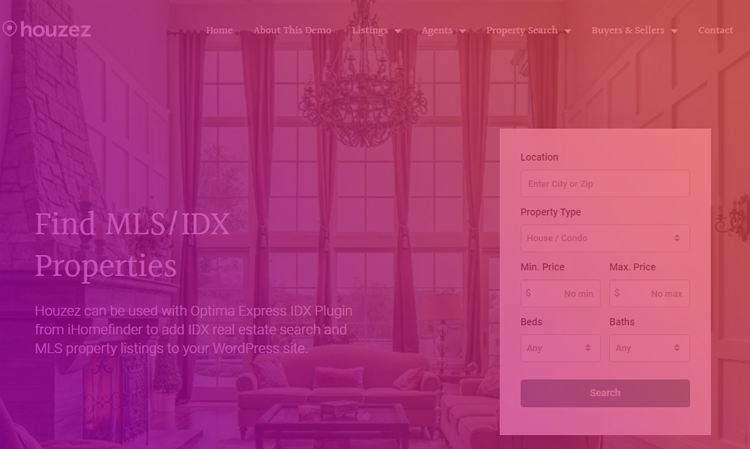 This WordPress theme for real estate comes with multiple header options. There are different header alternatives to choose from. For real estate websites with different purposes, you will need different header styles. You can choose and set the header of your choice. For the footer, don’t forget to update footer credits, and place all the important links on the footer. The content you place in the header or the footer plays an important role because these sections are common for each and every page. With the inclusion of the Visual Composer page builder, page building with Houzez theme is fun and easy. So you can easily create all the pages that you might want in your WordPress Real estate website. The drag and drop page builder lets you choose from the page building elements, and create beautiful designs, section by section. Therefore, you can create all the pages you want in no time. Once your pages are ready, don’t forget to place their link in menu or any other page so that your visitors can find them. Read: How to create a real estate directory website with WordPress? There are different ways to promote your real estate websites. However, the ways to promote different websites are different based on your location, type of audience and of course, the niche of your site. Next is optimizing your real estate website for search engines. This will help you achieve good search engine visibility and therefore, more exposure. Good for you, the Houzez is an SEO friendly theme and so it has its advantage. 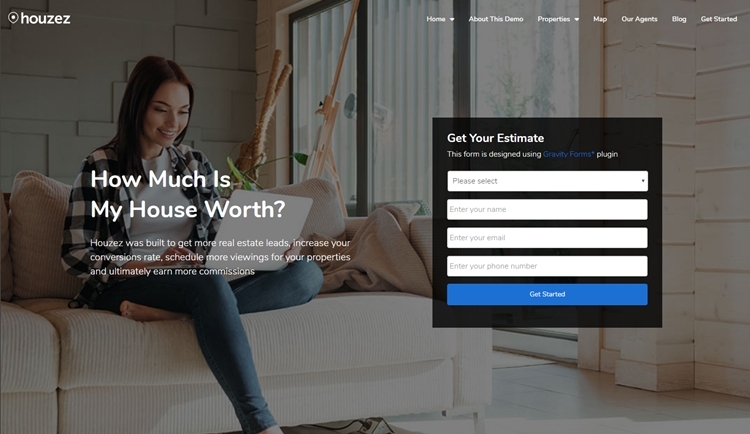 The Houzez Real estate theme is completely multipurpose and comes with all the customization features to make your website look and work exactly the way you want. Moreover, this real estate theme is flexible and you can use it for any purpose with the custom fields and other features. If you want to start small and gradually grow as you go, the Houzez theme has all the features to do so. Houzez is therefore ideal for creating any kind of real estate website quickly and effortlessly.